Build a career in an in-demand industry. As many employees are now tasked with managing their own money both before and after retirement, a growing number of individuals and families need financial planners to help them make important financial decisions. By using your financial planning skills to provide this much-needed skill to those in need of help, you’ll have access to a wide variety of career options ranked high in job satisfaction. By choosing a career in financial planning and wealth management, you’ll become part of an industry that has been consistently ranked as one of the 10 best career choices, with employment opportunities on track to expand rapidly. 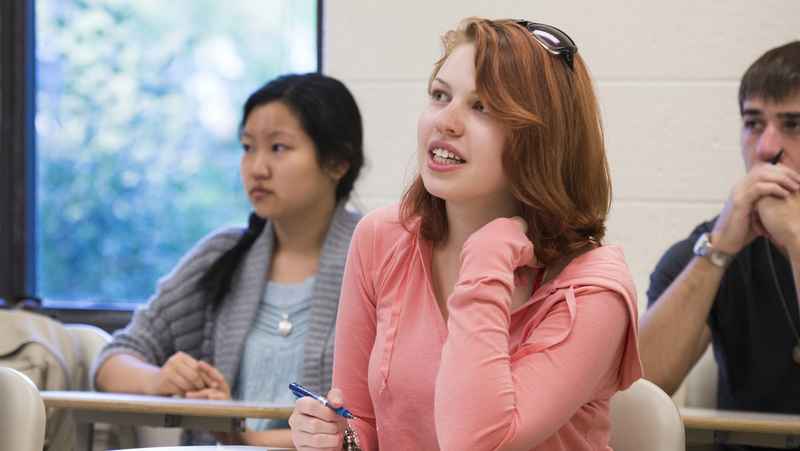 As a Lerner College financial planning and wealth management major, you will complete specialized courses in investments, insurance, income tax, retirement planning and estate planning. During your final semester of senior year you will complete the capstone course. The capstone course is a “real world” experience. You will work on 4 client cases throughout the semester, working closely with members of the Financial Planning Advisory Board to build financial plans for each. The board is a committee of 9 UD alumni who have built their own successful financial planning practices. This means you’ll get hands-on training that takes you through the full financial planning process from start to finish – before you even graduate. The Certified Financial Planning (CFP) Board has accredited the Lerner College’s financial planning and wealth management program. Individuals who wish to take the CFP Exam must first complete a series of educational requirements. Graduates of the financial planning and wealth management major at UD will have satisfied the CFP education requirement. This means that our graduates can sit for the CFP Exam immediately after graduation. You will have opportunities throughout the year to hear from finance industry professionals from public and private institutions such as the Securities and Exchange Commission, the Federal Reserve Bank and the nation’s top bank and trust companies like JPMorgan Chase, PNC and Wells Fargo. As a financial planning and wealth management student, you’ll have access to industry-specific research databases maintained by the Department of Finance. The most commonly used databases are Bloomberg, eMoney and Morningstar. After graduating in 2017, 100% of Lerner’s financial planning & wealth management graduates were employed or pursuing further education. For more information on career resources please visit the Lerner Career Services Center. Visit the Career Outcomes of Lerner financial planning & wealth management students to see more top employers, job titles, salaries and locations. For over 50 years, most Lerner business and accounting programs have been accredited by AACSB. 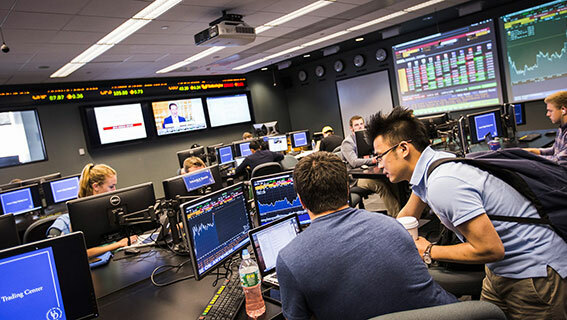 The 2,200-square-foot trading center replicates the trading floors on Wall Street. Our staff of professional advisors is available daily to help you plan your academic career and graduate on time.